Welcome to our weekly charity and non-profit highlight. Each week we will be shining the spotlight on a different charity or non-profit, who, in our humble opinion, deserves some extra recognition for the work that they do. 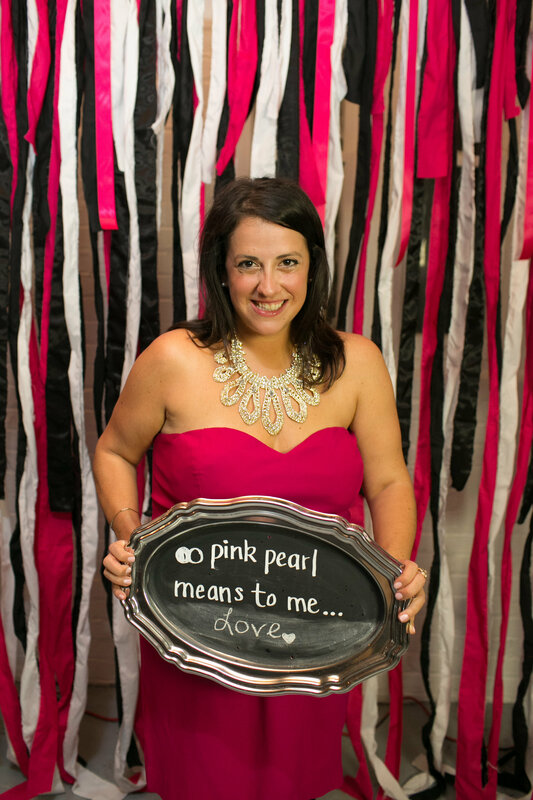 Originating in Niagara Region, Pink Pearl Foundation is a not-for-profit organization that provides support, facilitates connections and empowers young women who are courageously working through the social and emotional challenges of cancer, currently across southern Ontario. 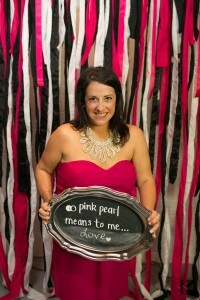 Meet Elise Gasbarrino, a 31-year-old ovarian cancer survivor and Founder of Pink Pearl Foundation. While undergoing cancer treatment in her early twenties, she felt certain elements were missing from her experience—a way to connect with women her age facing the same issues, and a means for women to conquer their issues together. Fast forward 10 years and her vision has transformed into this extraordinary charitable organization made up of more than 30 dedicated volunteers, focused on bringing together young women affected by cancer through a network of peer support and innovative programs. The Pink Pearl Foundation has successfully raised more than $185,000 to date through reputable fundraising initiatives, such as the Black & White with a Touch of Pink annual springtime gala. Funds raised provide effective and fully-funded programming for young women, between the ages of 18 and 40, battling cancer of any type. Continual programming for fe male participants currently includes: day-long and over-night wellness retreats; ask-the-expert health information sessions; and in-hospital support packages. So, how can you get involved? Start by checking out their exciting volunteer opportunities. Perhaps make a donation to help facilitate their cancer support movement. Or organize a group of friends to attend an upcoming fundraising gala on April 8, 2016 in Toronto! However you decide to get involved, the Pink Pearl Foundation will sincerely appreciate your efforts! This week we’re giving the speaking conch to Victim Services Niagara (VSN). VSN exists to serve people who are in a particularly vulnerable state: victims of crime, tragedy, and trauma. They adopt an insightful approach to caring, listening, and supporting, the “HEAL” system. VSN runs a number of programs, such as their 24/7 Emergency Referral Line, their Victim Quick Response Program (VQRP), as well as teaching people how to hide their internet activity, necessary for people who can’t have abusive partners aware of visiting the VSN’s site. As well as running several of their own programs, they are also a hub for resources in the community. With direct access to Gillian’s Place and Women’s Place of South Niagara for victims of domestic abuse, and access to other victim’s resources such as Distress Centre Niagara , it is no wonder that the regional police are thankful for their contributions. Their unique volunteer position, which allows caring and compassionate individuals over the age of 25 to complete a 40 hour training course, is designed to send crisis responders to to assist emergency personnel wherever their services are needed. Crime and tragedy can happen to anyone, at any time. Having a localized victim services program like the VSN often means that victims are able to escape toxic or harmful situations, as well as begin the process of healing, thanks to the appropriate supports being available. Due to the nature of the VSN’s programs, the number of victims served and which crimes or trauma they are victims of, are not public knowledge. With that in mind, on behalf of all citizens of Ontario who hope to make this a safe and inclusive province for all, we at Charity Republic want to extend a huge “Thank You” to Victim Services Niagara and similar programs across the province. Please visit their website to learn more about the work that they do or to become a volunteer.